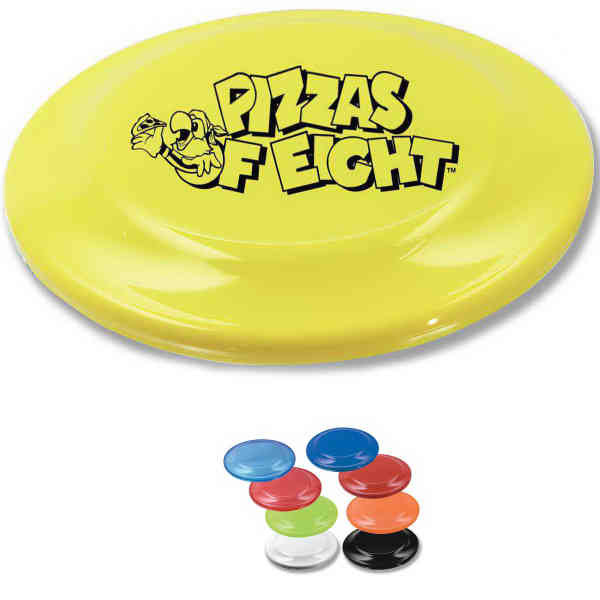 This flying disc is the ultimate promotional item for the great outdoors! 100% made in the USA from recycled materials, these durable and fun discs are perfect for music festivals, college events, fairs, and more! Come in 11 eye-catching colors! Make use of the generous 3-3/4" and 5-5/16" diameter imprint surface and have your company logo, brand name, graphic, or message printed on these discs for high-flying visibility. These discs are excellent family friendly items.